Okkyung Lee has been developing her own approach to cello performance for over a decade. Unbound by any specific genre or style, her visceral yet communicative sound draws from her background in extended instrumental techniques, Korean traditional musics and contemporary "noise" aesthetics. Born in Korea but based in New York City since 2000, she has released several albums on labels such as Tzadik, Ideologic Organ, and Ecstatic Peace. A list of her musical partnerships is long and diverse and include such maverick sound-experimentalists as Christian Marclay, Thurston Moore, Laurie Anderson, Ikue Mori, Jim O'Rourke and C. Spencer Yeh, as well as master instrumentalists like John Zorn, Chris Corsano, Leo Wadada Smith, Vijay Iyer and John Edwards. Okkyung's forays include collaborations with visual artists and choreographers to develop multi-disciplinary performances, many of these ultimately presented at Dance Theater Workshop, Issue Project Room and The Kitchen. In an unforgettable 2011 performance in St. Louis, Danish saxophonist Lotte Anker left a lasting impression on all those who witnessed and an eager anticipation for a return visit. Informed by the rich improvised music scene of Copenhagen during the late '80's, Anker has honed a dramatic sense of pacing and tone, juxtaposing brisk sounds against long stretches of extended melody, creating an effect that is both moody and responsive.... and occasionally sounding as if Evan Parker were to sit in with Sun Ship-era Coltrane.Anker has maintained her long-running engagement with the trio of Gerald Cleaver and Craig Taborn, as well as a trio with Ikue Mori and Sylvie Courvosier. 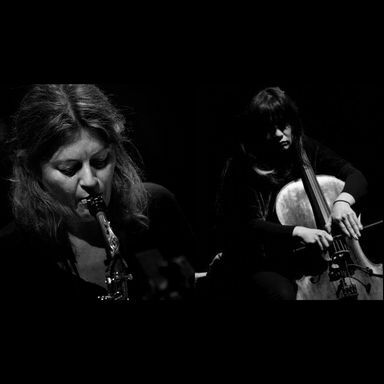 Other regular collaborators include Fred Frith, Paal-Nilsen Love, and Fred Lonberg-Holm.